In the capital city’s Sixteenth Historic District, New York-based firm Robert A.M. Stern Architects, LLP (RAMSA) were tasked with designing a nine-story, 142,000-square-foot, mixed-use building. 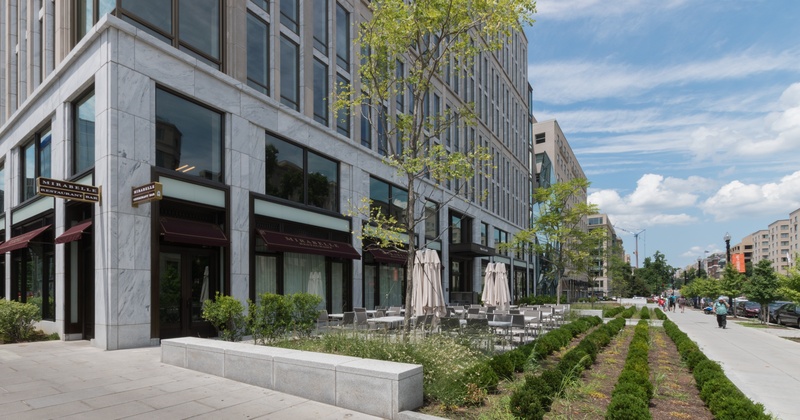 The future home to brand new ground-level shops, offices and The First Church of Christ Scientist, 900 16th Street also boasts spectacular views of the Washington Monument and White House from its ninth floor terrace. 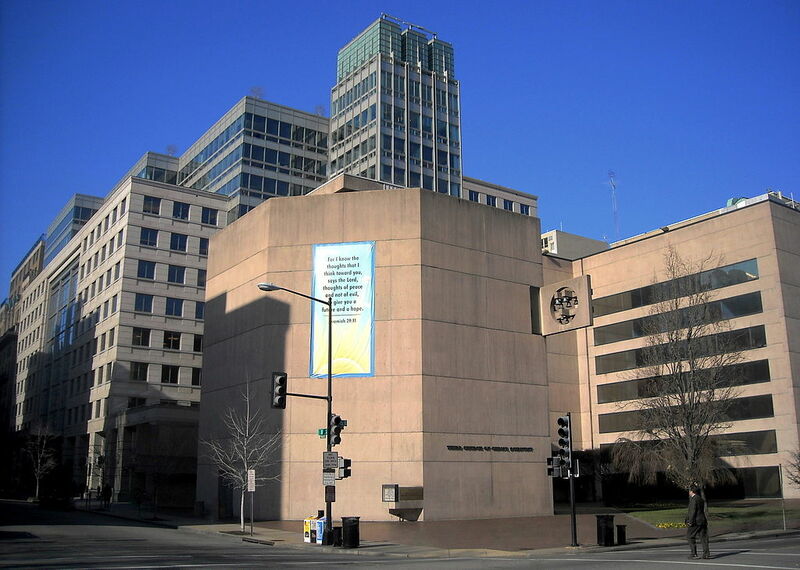 The original, now demolished, brutalist style building by I.M Pei & Partners built in 1971. In an area that is as prominent as it is diverse, the centrally located building is a proud combination of both forward thinking and historic American ideals. Not only would its design speak volumes, but it would impact a bustling neighborhood and busy street corner as well. So, when it came time for RAMSA to choose a material for the building’s exterior, it was clear that it would need to have the look and feel of days gone by, as well as a nod to the city’s ever-evolving future. 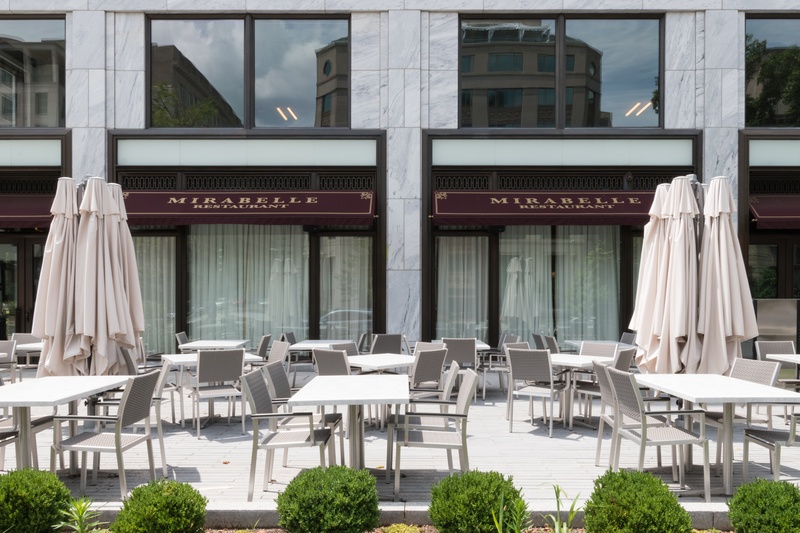 The team worked with stone contractor R.Bratti whose solution to honoring Washington D.C.’s traditional palette of light-colored stone, without sacrificing a fresh and modern look, was historic White Cherokee Georgia marble. After all, this was to be a place of business, entrepreneurism and religion (melting pot, anyone?). Originating from Polycor's extensive century-old quarry, this American marble is a natural fit for the city of Washington D.C. Stylish and homogenous, White Cherokee is commonly used in huge architectural projects and American heritage building restorations across the country — including notable monuments such as the Lincoln Memorial, and many others around town. 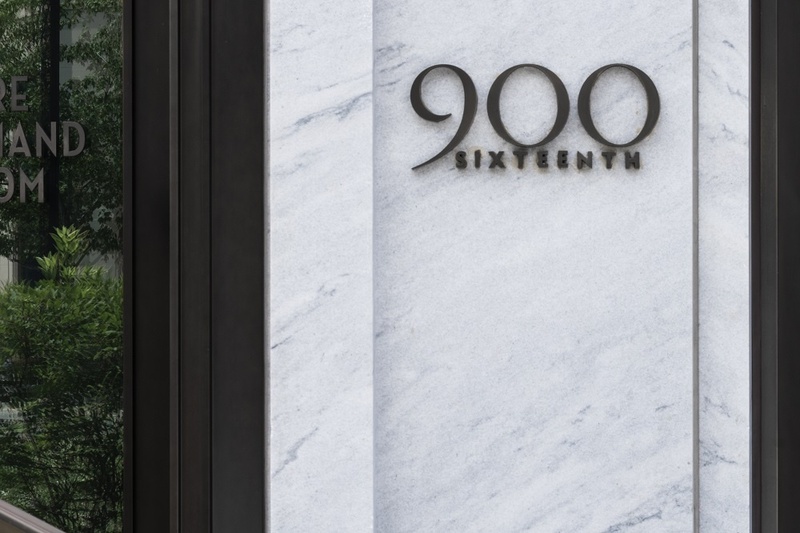 At 900 16th St., RAMSA collaborated with Cooper Carry Architects incorporating 8,000 square feet of this beautiful Georgia marble in a low-honed finish reflecting the iconic look in the storefronts that welcome in the curious passerby and employees on their lunch breaks. 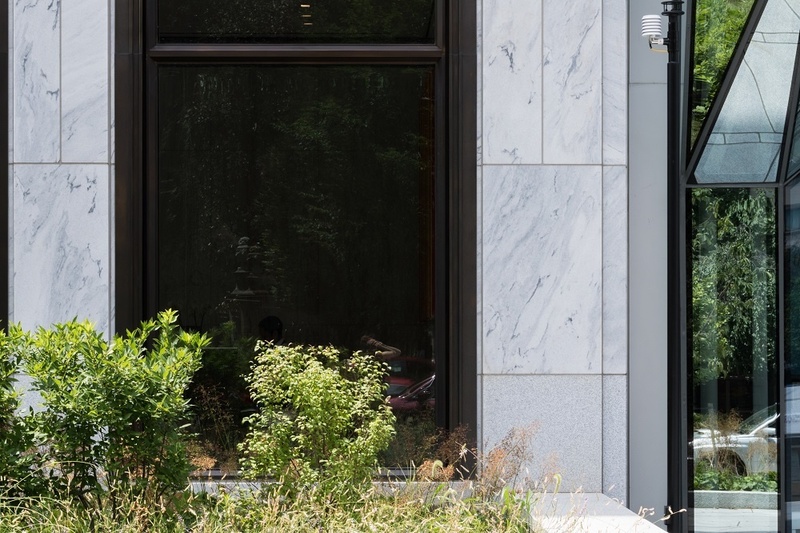 The building’s main panels are 2’ x 3’ x 2” thick and the windows above are also framed in 4’ x 6” x 3” moldings of cut to size White Cherokee marble, set into an Indiana limestone grid. It’s in the tiny details such as those that make White Cherokee so wonderfully dynamic. 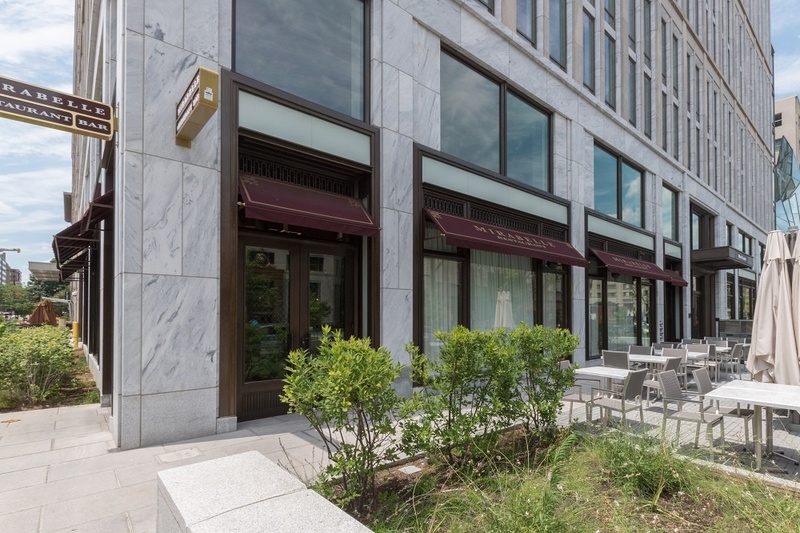 At first glance, the classic style and timeless look of the building’s marble exterior allows it to blend in seamlessly with the historic core of Washington D.C. However, as you get closer its natural variations and intricate designs offer visual interest without being overwhelming or distracting. In an effort to capture the rich and historical quality of the marble, Breen and his team took a visit to the Polycor quarry in Georgia to see the stone up close. “When you clad a building in a marble that has a prominent vein, you’re trying to create a storyline – a narrative, so as the stone is set into the façade and as it negotiates corners and changes in plane, how the stone’s character is revealed and celebrated is of fundamental importance in creating that narrative,” Breen said. Stone selection during the quarry visit was an important design element. Breen and his team were able to hand-pick the stone and determine the orientation of the veining so that it ran continuously from lower left to upper right diagonally for a more monolithic, continuous appearance. Implementing best practices for a sustainable design throughout the building such as energy-saving mechanical systems, a green roof with native vegetation and low-VOC materials helped 900 16th St earn a LEED Gold Certification from the U.S. Green Building Council (USGBC). 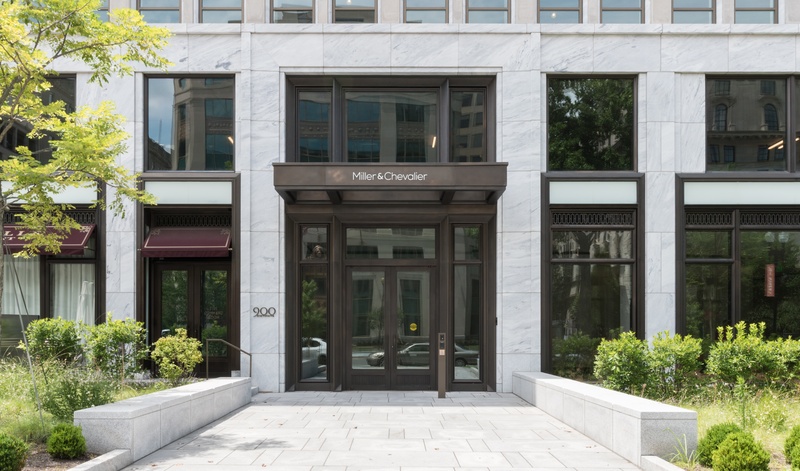 Contributing to the LEED Gold status of the project was the use of locally-quarried White Cherokee marble in the design. What made this project even more unique was not only the selection, but the execution and cutting of the stone. In order to be as efficient as possible, the stone was cut to size at the quarry and the finished pieces were then attached to precast panels off-site, ensuring a smooth and seamless construction process. 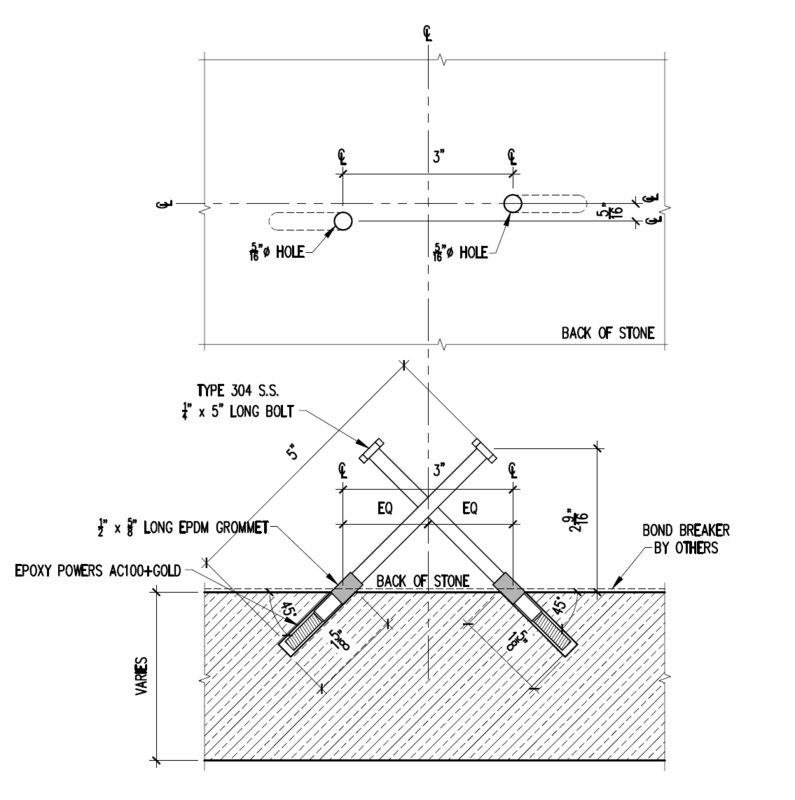 Anchor detail illustrating marble panel & precast bolt connection. Image courtesy of R.Bratti. “They’re quite good and do have a pretty unique process in forming their panels”, said Mahony on working with Arban & Carosi, “I think one of the challenges of working with precast panel is how you panelize a building in a manner that achieves that construction’s efficiency, but when you step back and look at the building it doesn’t look like a panelized building." “You don’t want to lose the richness of stone cladding and the scale of the various components of stone stacked,” he said. “That’s a very meaningful relationship between the viewer and the building. I think it’s a very thoughtful process not just on our end, but also on the contractor’s end and the stone fabricators end”. Contractor R. Bratti performed the bulk of the work behind the scenes and on site in the field to execute the design as planned. To complete the project, Polycor also partnered with Tennessee Marble who assisted in portions of the production work. Make modern updates to historic projects seamless with America’s marble. Download the White Cherokee spec sheet.